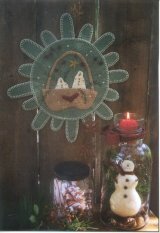 Pattern for a sweet 5" snowman ornament. These guys are all warm and fuzzy in their cotton batting bodies. 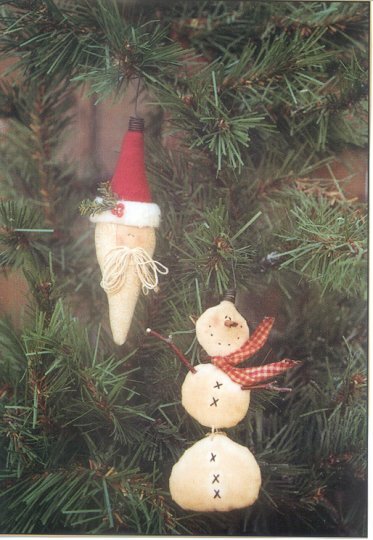 Twiggy arms and long carrot noses add to the charm of this fun tree ornament pattern. Pattern for an 11" x 18 1/2" embroidered pillow. 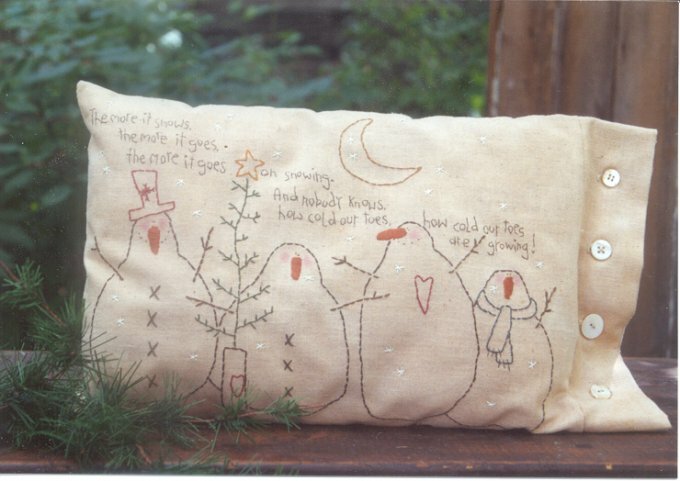 A darling snowman family and precious verse make this pillow extra special. These ornaments are simply precious! 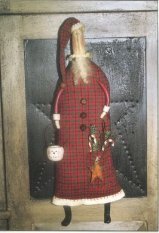 The 6" Santa ornament resembles the shape of an old-fashioned bulb. Ornament even has the old looking wire hook perched on top of Santa's hat! The 5 1/2" snowman ornament will melt your heart. Santa, snowlady and angel - what more could one want! All of these great 15" dolls are included in this great pattern. Celebrate this Christmas season with this Santa and reindeer penny rug. 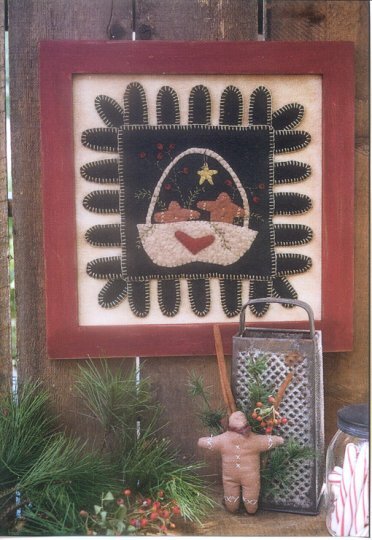 The rug measures 17" x 34" and is constructed from wool felt. Great selling pattern! Great pattern for a 12" mini wool felt penny rug. 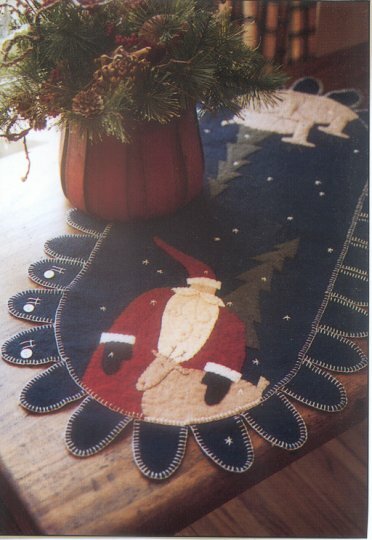 Penny rug can be framed or used for a table rug. Instructions for a decorated antique cheese grater also given! 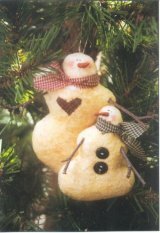 This duo will look great in your kitchen this holiday season! Pattern for darling 4 1/2" snowman, angel and Santa tree ornaments. Very easy and quick to make. 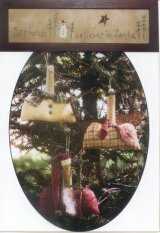 Great for gifts and craft shows! Instructions for a 4" x 15" stitchery also included! What a fun picture to hang in your house this Christmas! Pattern for 12" wool felt penny rug. Rug shape even resembles a snowflake! Instructions for the snowman in a jar candle also included! Great seller! 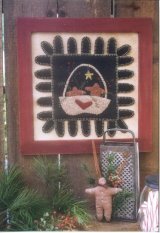 Pattern for a 17" whimsical St. Nick doll. 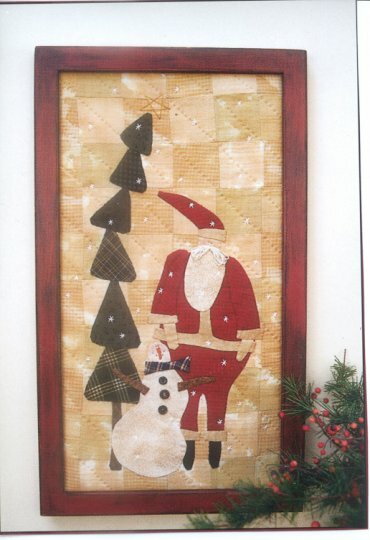 Santa is constructed from homespun flannel with clay arms and legs. 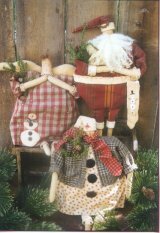 The darling snowman basket is also constructed from clay.